FAIRBORN – The Fairborn Festival Committee has named Chief Master Sergeant Bill Richard, USAF retired, the Grand Marshal for the 2015 Fourth of July parade. Chief Richard retired from the Air Force in 1985 after 27 years of service. He spent three years in the army and 24 years in the Air Force. He served in both Korea and Vietnam. After retirement, he worked for several companies in the Dayton area. In 1999 he received his realtor’s license and has served as a member of the Coldwell Banker Heritage team. 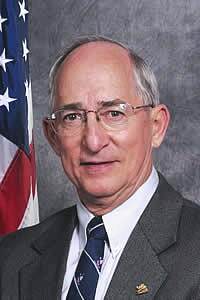 An active member of the Fairborn Chamber of Commerce, Chief Richard serves as an Ambassador, was President of the Chamber in 2011 and received the Chamber’s most prestigious honor, the Jack Huelsman Award in 2008. His passion is photography and he has devoted thousands of hours to photographing events in the Dayton area. He never charged for his photos. Often he is seen with his wife, Lyndia, who assists on photographic assignments.